December can be trying, its the lack of daylight I find hard. I’ve realised it is important to lean on the Advent observations that we started in November. We light one more candle each week – in the 365 Nature Journal it comes on the 5th, 12th and 19th December by which time we are at Christmas. December has lots to get stuck into, there are many crafts to enjoy that can be decorations for home or gifts . Sometimes the simple paper chain decorations (6th) can seem nicer and probably more eco friendly. 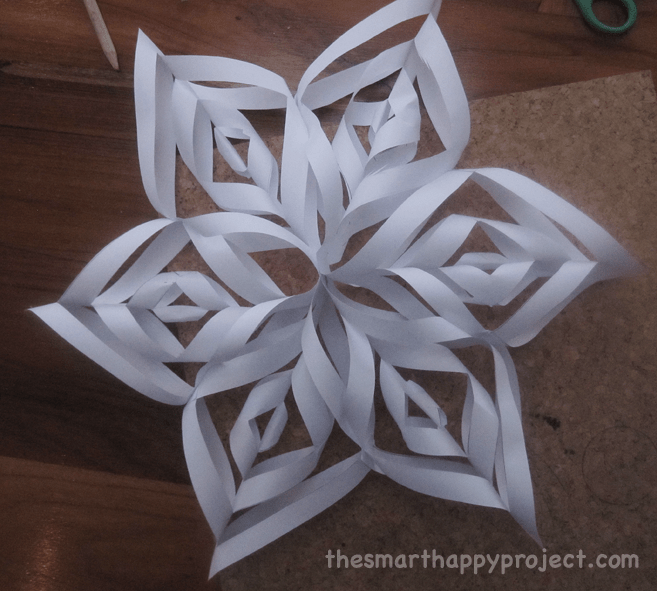 Paper snowflakes (14th) are super cheap and is an opportunity to master what looks like a difficult paper craft , but follow these instructions carefully and they will be stunning on your tree. Also loom band snowflakes if you still have loads of loom bands hanging around. 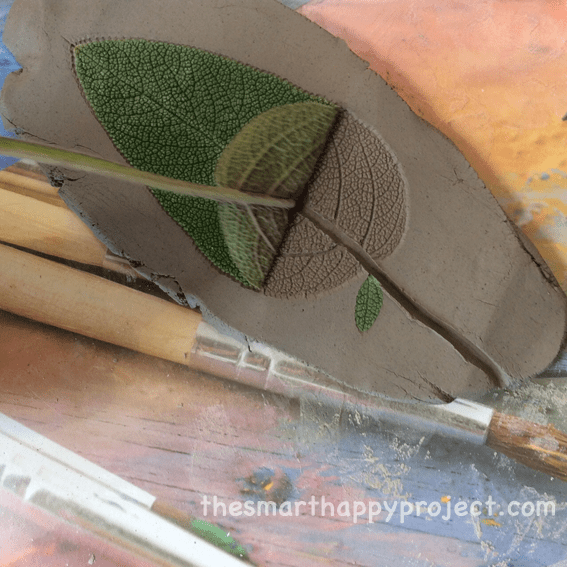 Making your own wrapping paper can be using by using leaves as stencils with paint on paper. 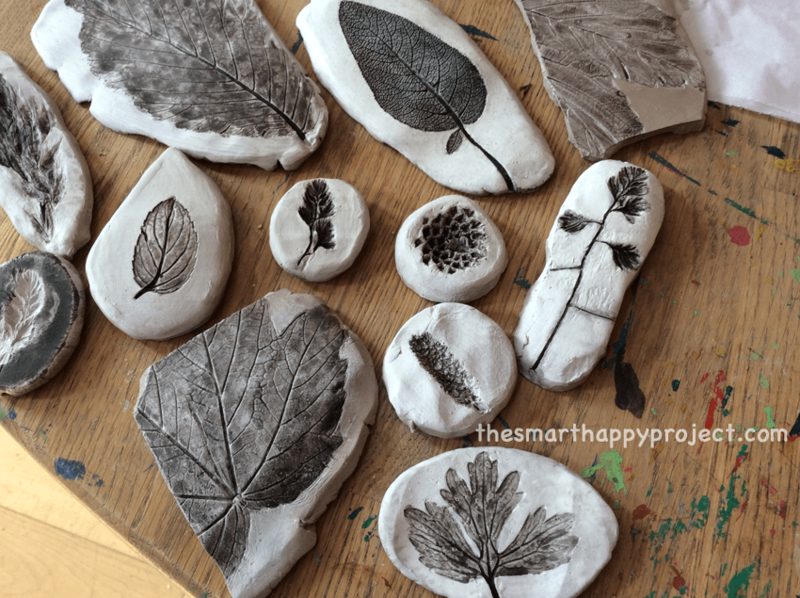 For gifts, we have always enjoyed imprinting the patterns of leaves or seeds into clay (16th) to make into tiles or ornaments. There are quite a few opportunities to get nature inside as part of the seasonal decorations. Pine cones are always a favourite and with a simple sprinkle of glitter (17th) are transformed to the christmas season. Oranges studded with gloves (11th) will release a scent to tease those sensory observations nature. Many will hang mistletoe (20th) or cut evergreen beaches of holly (4th) to bring inside and decorate. I always prefer this type of decoration rather than the plastic variety. 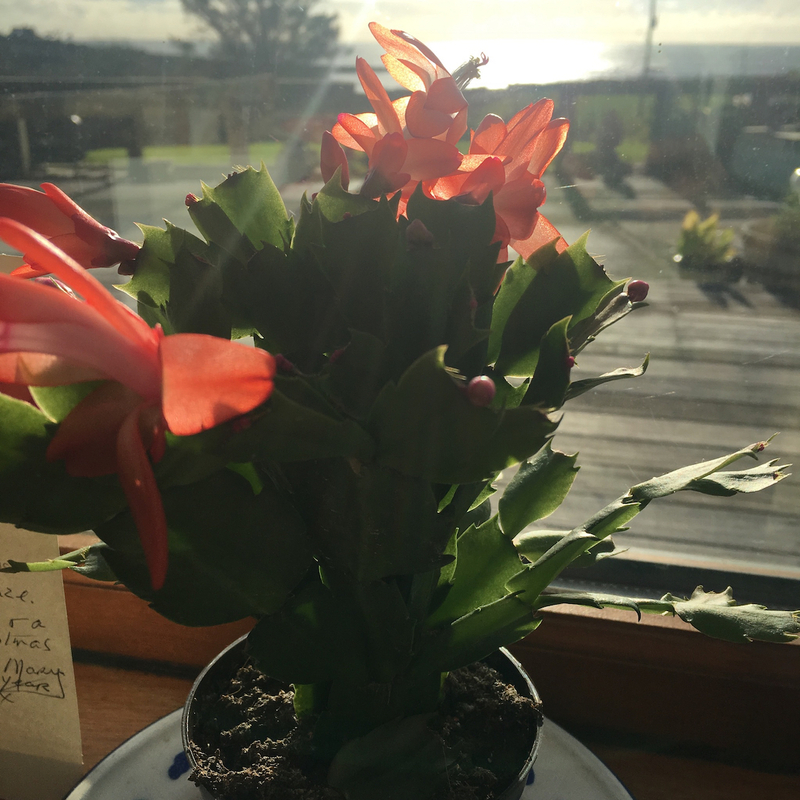 A Christmas Cactus (9th) can often be picked up in supermarkets and its nice to have it bloom on the windowsill at this time of year. Or the majestic Amaryllis, from the bulb that was potted up in October. Its not just humans that decorate trees with balls at Christmas! Squirrels build spherical shaped nests (3rd) too. Ok so its not for Christmas exactly but the thought makes me smile. Circles in nature feature in December too, if you have a real fir tree this Christmas maybe you are able to count the rings (13th) through its trunk. A circle represents unity and all being equal; as all in a circle are equidistant from the centre. Dining at a circular table or sharing presents in a circle (25th) can have a sense of togetherness. 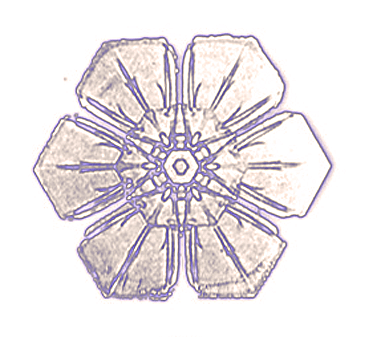 There are many names of different snowflake types. Dendrite (15th) being ‘tree like’, with its branching arms. But one thing defines them all. They all are structured around a hexagon. Snowflakes embody Hexagonal geometry in its myriad of forms. Needles from pine trees are seen everywhere, but did you know that they cluster in different number groups on different types of pine trees? (30th) Some singular or in pairs, many in threes, fives and eights. Which happen to be numbers in the Fibonacci sequence, a pattern of number progression which is manifest in natural forms. Alternative, nature inspired lyrics to the traditional tune can be found here. Enjoy! Next month is January which channels the reflection of December into nature resolutions for the year ahead. February, March and April look to signs of spring, while June, July revel in Summer. August is full of holiday spirit and September draws again to nature and changing seasons. October and November bring us calmly back to the dark winter months. 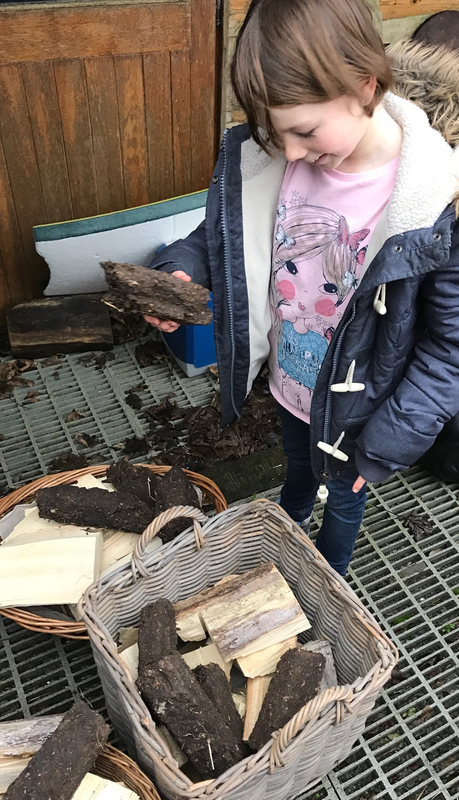 I hope you join me or have enjoyed this journey through The 365 Nature Journal, I hope that you and your family feel the benefits of building your personal connection to nature and look forward to the seasonal interactions you have with your natural world around you. Enter your email details here if you would like to receive the monthly emails with all the info and support you will need for your natural journey through the year.